We’re at the heart of Purgatorio, and the heart of the Commedia, but things get a little weird. There are all these dream visions, and then a lot of philosophy. To be honest, he starts to lose me a little; less seems to be happening than in earlier episodes. But what is all this talk about? Love, remember, created the cosmos all the way down to hell, and love draws the souls toward itself in heaven. It is the very reason Dante writes his poem in his own language—the language of love poetry. Note, now, that we’re pretty much in the middle of the whole Commedia. We’re at the heart of the poem, then, despite the poem seeming to get farther from emotional content. That means this is some important stuff. What’s Freedom Got to Do With It? Coupled with love in Dante’s thought (as with much of the tradition he draws upon) is the freedom of the will. It’s an old but powerful idea with significant consequences for how we understand our social lives: either we have choice in our actions, and therefore our actions are either meritorious or wicked, or we do not have choice, in which case we should be neither ashamed nor proud of what we do. Dante notes that among those who deny freedom, “some blame the stars, some fortune here below.” That is, he identifies the two main alternatives to freedom: fatalism (the stars) and determinism (fortune, or worldly events). In the contemporary free will debate, many atheist philosophers still prefer to affirm determinism rather than go down the road laid out by a belief in freedom, which leads to objective moral values and thus to a personal, creator God. They don’t blame “the stars,” except insofar as “the stars” is an ancient term for “science,” and most determinists attribute our lack of freedom to science. I find this commitment strange, though, because these same philosophers will condemn the dogma-driven actions of religious people while feeling pretty good about themselves for being so enlightened as to realize there’s no god and no freedom (as evidenced by a recent Reasonable Faith series on Sam Harris and Jerry Coyne). They will also often insist that we can and must hold people responsible for “evil” actions, that is, actions that cause others suffering. On determinism, I cannot see why we must do this. At best, determinism would seem forced to admit that it’s not about what’s “right” but about the fact that those of us who happen to be in power prefer and have the power to do this. Our moral feelings have no real ground nor our moral beliefs any objective validity. Free will may be difficult to reconcile with God’s foreknowledge, but it at least better explains our actual moral intuitions and doesn’t collapse upon itself and undermine the possibility of moral action altogether. So, why would an atheist want so badly to deny God that he would also deny free will and undermine morality? As Protestants we would say his reason was perverted by sin. A strict Calvinist might hypothesize that the philosopher was reprobate and would never choose the good. she willingly turns to all that makes her sing. I don’t know Dante’s views on original sin, but it takes a real hardliner and something of a joyless pedant to look at an infant and only see the fallen flesh. Dante doesn’t say the soul begins perfect, only that in its beginning it loves well and lives by a principle of joy. In fact, he suggests she may be easily deceived to enjoy lesser goods as if they were the highest. 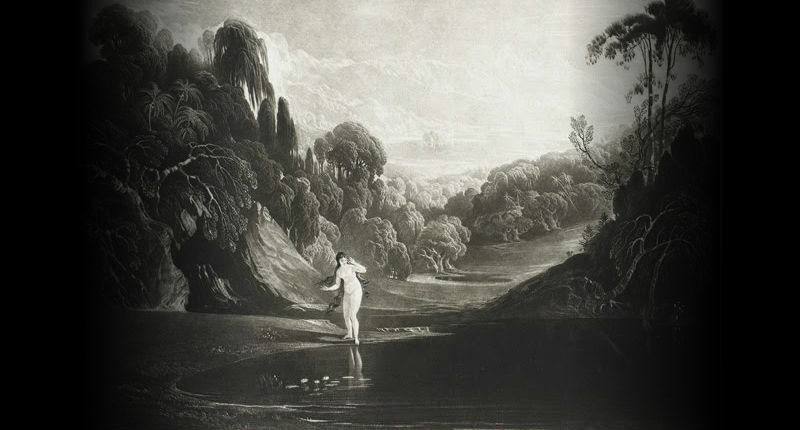 Milton demonstrates this in Paradise Lost when, soon after Eve awakens upon her creation, she sees her reflection in a pool and becomes enamored of it. It is true that Eve is legitimately beautiful and worthy of admiration, but she was not made to merely appreciate an image in a pool but to work the garden alongside Adam. Later, Virgil explains to Dante that “Not the Creator nor a single creature . . . ever existed without love” and that “The soul’s love strays if it desire’s what’s wrong / or loves with too much strength, or not enough” (XVII.90-1; 95-6). Contrary to our pop morality, “love” is not a stand-alone, absolute value that guarantees any action in its name is good (consider Francesca’s similar logic in Inferno). Most people must own this when pressed: love of my children is good, but not if I love them so much I never leave their presence, thus never letting them individuate nor doing enough to provide for them financially, it seems pretty clear I have a disordered love. Esolen extrapolates that the “first will” is “to desire the good in its fullness.” It’s so easy to be abstract about these things, but I understand the fullness of the good to be the shining forth of the glory of God that we call, variously, beauty, grace, holiness, splendor, and so on. We don’t, after all, perceive God directly but through worldly means such as art, literature, culture, nature, and other persons. Just as Jeremiah prophesies to the displaced Israelites that they should desire the good of the city to which they have been exiled, Virgil explains that all the lesser goods we desire ought to partake in some way of our desire to see God glorified everywhere. Or maybe that’s just how it reads to a Kuyperian. So proper love is a proportion? That seems to be the takeaway from all this conversation. But is it right to temper our love for the best things? For God? We seem to have a paradox or contradiction, especially when we meet the slothful. The souls who were slothful, for Dante, are not so much lazy as lukewarm in their love. They atone for their error by racing around their ring of the mountain shouting, “Zeal in well-doing makes grace green again!” (XVIII.105). Their zeal is right because it is zeal for God. We should keep in mind that though we often use the word “proportion” to mean some amount less than the whole, 1:1 is still a proportion. Virgil doesn’t council against great love for the best things but against excessive love for the least things and insufficient love for the best. There’s such faith in that call, too. “Zeal in well-doing makes grace green again!” We find the green motif returning, this time to suggest the new growth of plants, the freshness of being. The souls recall the early days of their faith when grace was new to them, and though their flagging love has stalled them out, they now rush about in the belief that renewing their zeal will also renew their grace. Life can feel tough, even exhausting and unbearable at times. It is truly an act of faith to follow beauty and splendor to its divine source and to devote oneself zealously to Him when so many lesser pleasures tempt us with their cheap grace. Let us learn from the laggards and be quick to love. 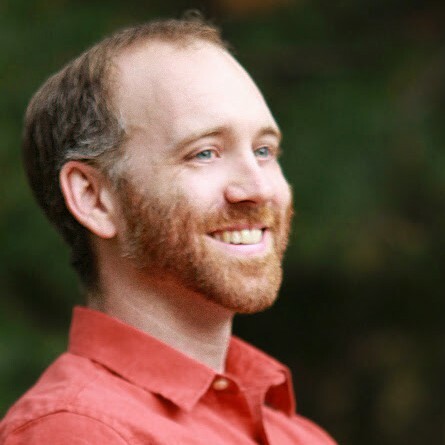 Brad Fruhauff is a contributing editor of Sapientia, senior editor of Relief: A Christian Literary Expression, Writing & Communications Specialist at Trinity International University, husband, and father of two boys. His poems, blogs, and reviews have been published in BooksAndCulture.com, Rock & Sling, catapult, Englewood Review of Books, and in anthologies like Not Yet Christmas: An Advent Reader and How to Write a Poem. Evangelical Scholars Set to Tackle Pressing Issues Revolving Around Creation and Science"A wide, breathless place of light"